North America Forum»Forum ›League of Angels-Fi... ›Bugs & Support › Invalid Version, Please Update The Latest Version. Invalid Version, Please Update The Latest Version. 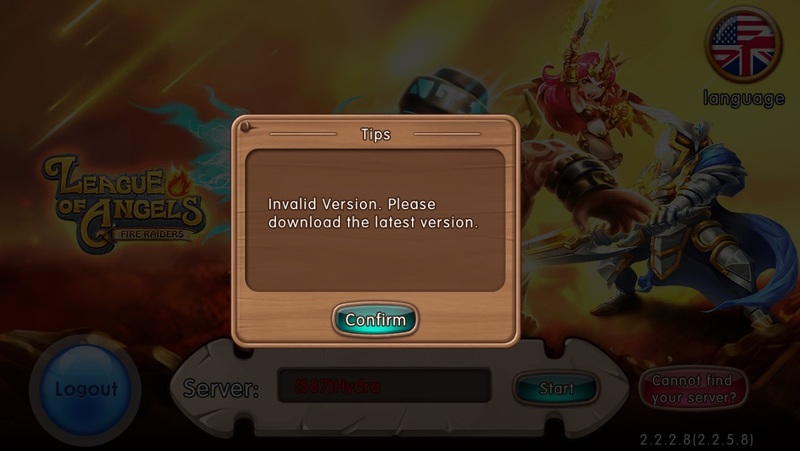 Every time I try to login all it says is Invalid Version, Please Update To The Latest Version I checked and there\'s no update? Help! It will update automaticly. You dont need to download anything. 2019-4-21 11:12 GMT+8 , Processed in 0.053087 second(s), 36 queries .